Apple has just announced two of the most anticipated products at the Special Event and they look amazingly sleek and beautiful. Tim Cook, the CEO of Apple, made the announcement of iPhone 7 and iPhone 7 Plus followed by a detailed overview. The Apple iPhone 7 comes with a powerful all new A10 Flex Chip, which Apple claims is 120x faster than the original iPhone chip. The 4.7 inch screen is brighter and offers and better viewing experience. A primary 12MP camera and 7MP FaceTime HD camera are also packed in the model. There is a new home button as well which is designed to perform multiple tasks. iPhone 7 comes with the latest iOS 10. Apart from the basic features, the phone is water and dust resistant. It also offers stereo speakers in case you want to go all basic again. There is no AirPods slot! Yes, that’s true. This is because the lightening can be used as a AirPods slot with an additional speaker. Also, the all new AirPods have gone completely wireless. The iPhone 7 Plus has everything that iPhone 7 has along with a bunch of features that specifically photography lovers are going to love. The 5.5 Retina HD display offers a surprising color gamut. The phone comes with two primary cameras which make it wide-angle and telephotic (Not sure if this is a word, yet). There is a same 7MP FaceTime HD camera. Rest of the features are pretty much the same as in iPhone 7 like the A10 flex chip, stereo speakers and the all new home button etc. 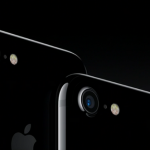 Detailed specifications of iPhone 7 and iPhone 7 Plus coming later this week on our blog.